Jazz Kids - kids learn jazz with easy improvisation exercises. Beginning jazz music for children. 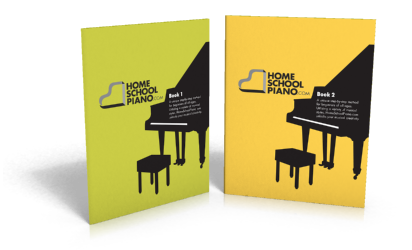 Announcing our new Homeschool Piano Books! JazzKids makes learning the piano and improvisation fun! JazzKids®, created by Berklee College of Music graduate Willie Myette, creates method books that show beginning improvisers how to improvise at the piano. Our books are designed to be used in conjunction with other reading curriculum like Alfred's Piano Course. Even if you have never improvised before, JazzKids makes it easy to learn. The step-by-step instruction and jam-with-the-band tracks on the CD make learning how to improvise fun and easy. Not that interested in Jazz? Well, guess what, JazzKids now features many different styles of music including Jazz, Blues, Pop, Latin, Rock and Klezmer! You can learn how to improvise over these different styles while learning how to read and translate those pesky chord symbols into a full arrangement. JazzKids has been used with students around the world for the past decade. Click on a book below to see why people choose JazzKids to learn Jazz and improvisation. How Does JazzKids Encourage Improvisaton? Rhythm - rhythm is key to successful improvisation because without an interesting rhythm, your improvisation will sound "flat". JazzKids creates a strong rhythmic foundation by teaching students how to read and vocalize rhythms. This is important because if you can "sing" a rhythm, you can play it. Students will then utilize the rhythms that they have been practicing in their own improvisation and compositions. Ear Training - it is important to really hear music to be able to improvise. The ear training exercises teach students to discern small differences in rhythm and melody which in turn helps them to listen critically while improvising. The Song - the JazzKids pieces are really fun to play. More important, they have been designed to allow a lot of possibility for the student to change what has been written. Often, students learning the JazzKids pieces, will change a note here or there. Sometimes they'll create their own composition or a "spin off" using the piece as a "spring board". Improvisation Exercises - these exercises give students a positive experience in improvisation. A lot of times, when learning to improvise, students are handed a scale and told, "Now improvise." Unfortunately, this works for only a few students. Most of us need further direction and coaching. JazzKids provides this by not only teaching the scales for improvisation, but also by giving written examples and fun play-a-long tracks.